Pour 2 Tbsp. dressing into each of 8 short glasses. 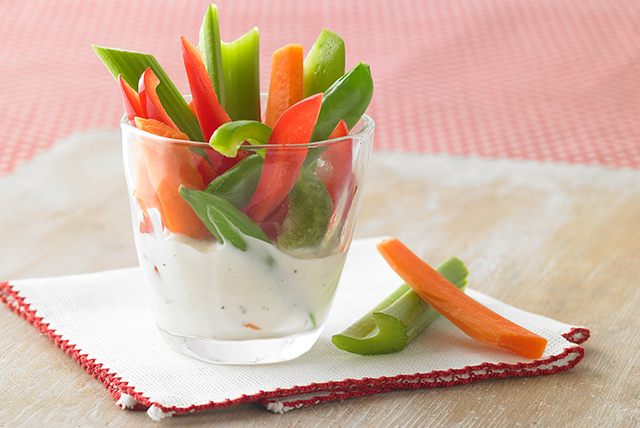 Place 3/4 cup vegetables in each glass. Substitute KRAFT Lite CATALINA Dressing for the ranch dressing.